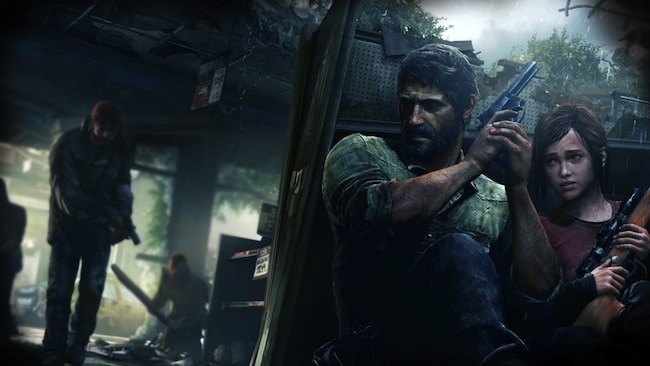 Naughty Dog’s upcoming title The Last of Us hits the PlayStation 3 exclusively June 14 and the full digital edition is now available for pre-order on the PlayStation Store, the developer confirms on its website. Naughty Dog also confirms players will be able to download the game straight from the digital marketplace at the stroke of midnight on launch day. The digital edition also features a “unique download installer” enabling players to begin playing once about half the download has finished – meaning a significantly shorter wait time between you and the game. The developer also offered details on the game’s season pass, which will cover three packs of downloadable content. The season pass is also available for pre-order on the PlayStation Store and will set you back $19.99, a 30 percent discount on the price of the individual packs. The season pass also offers several day one bonuses, including increased crafting and healing speed, a reload speed upgrade for the 9mm and a clip capacity upgrade for the rifle. Also included among the day one bonuses is Grounded, a 90-minute documentary on the making of The Last of Us. Are you excited for The Last of Us? Will you consider pre-ordering the game digitally? Let us know in the comments.